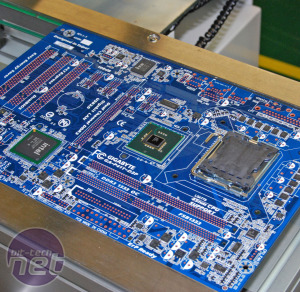 While we were in Taiwan for Computex 2011, Gigabyte contacted us to as if we’d like to take a tour around its Nan-Ping factory. Never ones to turn down a chance to see where all the glorious technology that we love so much comes from, we accepted immediately. 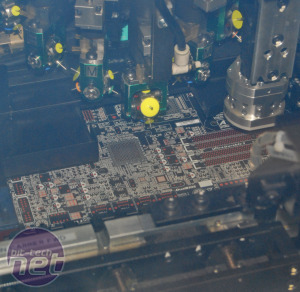 During the tour, Gigabyte was keen to point out that it’s the only motherboard manufacturer that still makes motherboards in Taiwan. All other manufacturers have moved their production facilities to China where labour and land is cheaper. 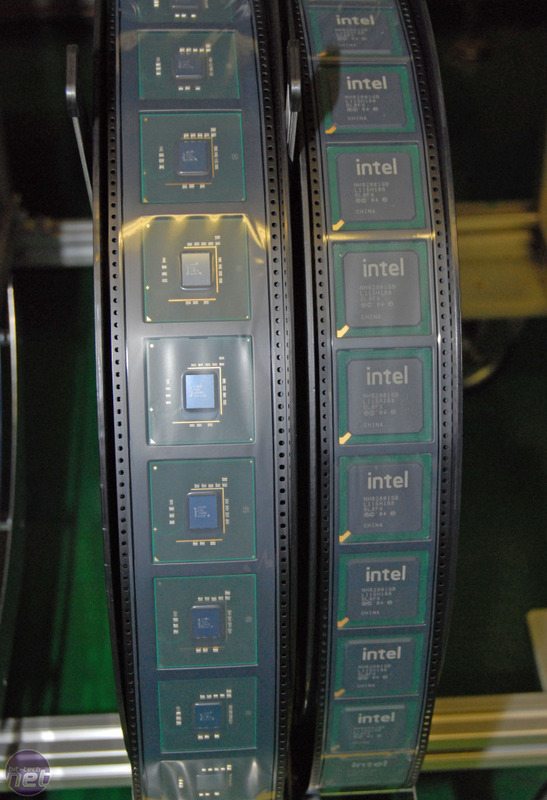 However, while Gigabyte does have some factories in China, the company produces the majority of its top-end boards in Taiwan. 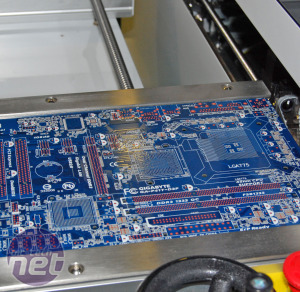 The motherboard manufacturing process starts with a naked PCB, which has a precise pattern of sticky solder paste printed onto it via a solder printing machine. 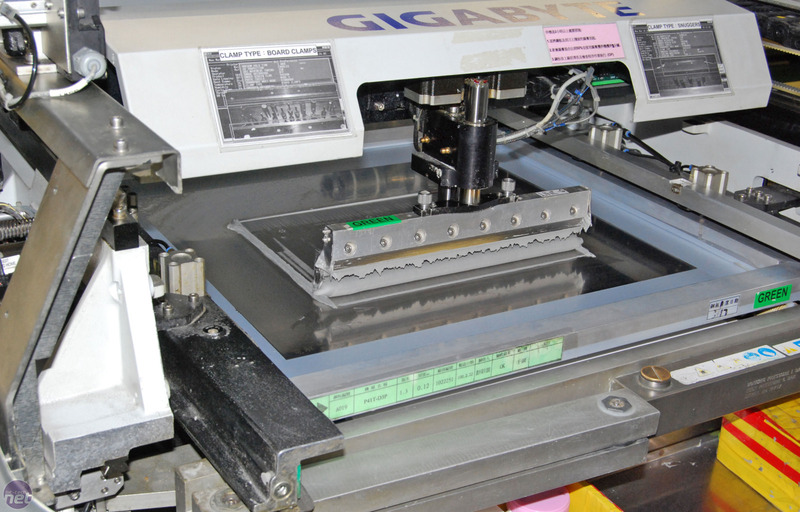 The precise pattern is achieved through the use of a stencil that can be changed depending on which motherboard is being produced at a given time. 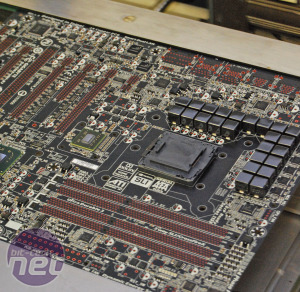 From here, the motherboards are transferred to a component placement machine that quickly places all the tiny chips and components that are too fiddly to place by hand. 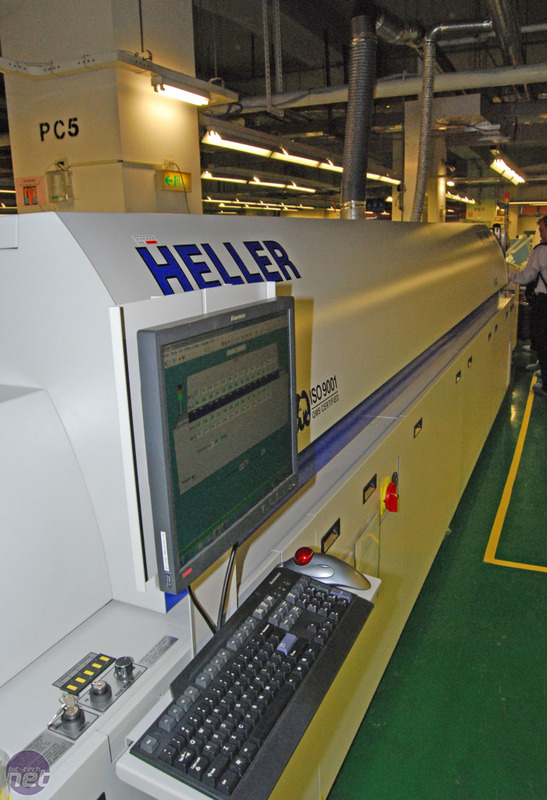 These machines work extremely rapidly, and can place up to 52,000 components per hour - that’s a rate of one component every 0.068 seconds. 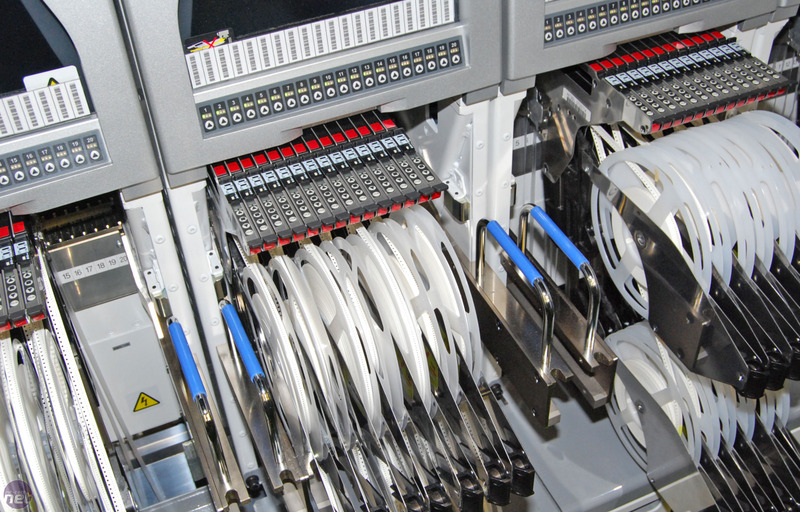 The components used by the machines are also fed into the line via large reels. 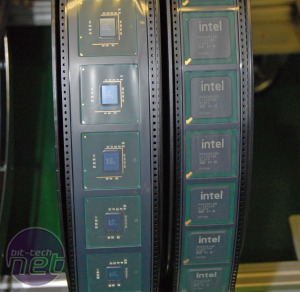 Some large components, such as the processor socket and chipset, are also placed at this stage. 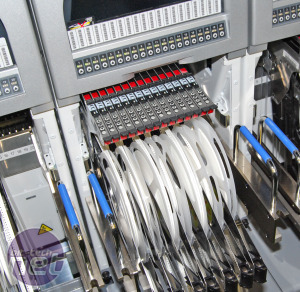 We asked why Gigabyte didn’t use these machines to place all the components and were told that, while it was technically possible, Gigabyte would never do it as humans are much more flexible than machines. 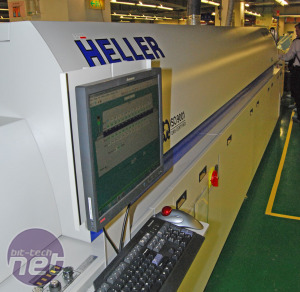 A human can move from one production line to another and quickly change procedures, but these component placing machines take a long time to program and set up. 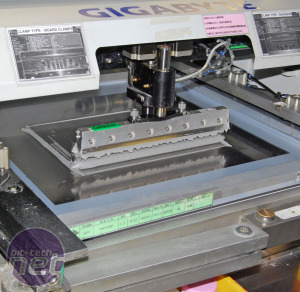 The boards then continue along the production line and get moved into the reflow oven, which steadily heats the boards as they pass through it. 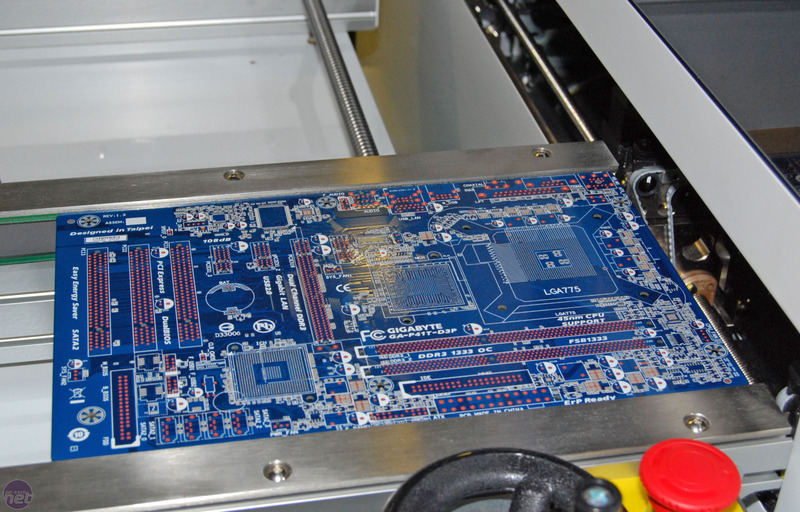 This heat melts the sticky solder paste that was printed onto the boards earlier (and that has been keeping the components stuck to the board until now) into a firm solder joint, permanently attaching the components to the board. 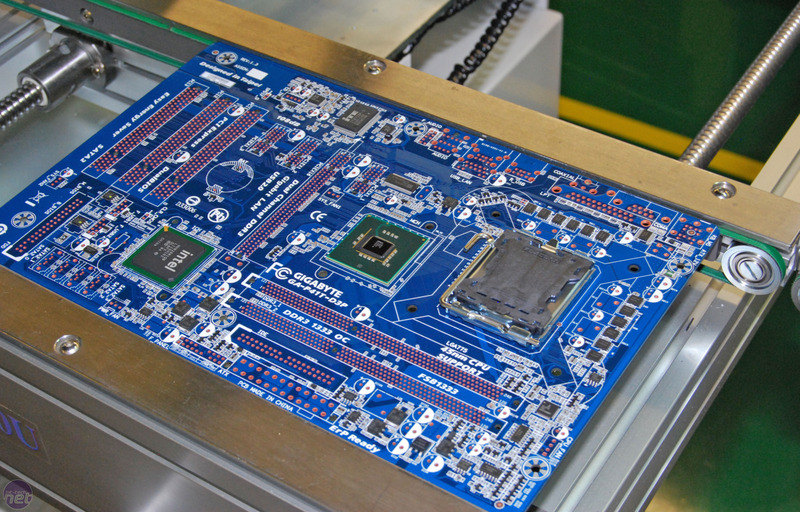 The half assembled boards are then automatically stacked to await a visual and then x-ray inspection, in order to check that all the components have been placed and attached properly. Once this is complete, the boards get packed into foam sleeves and loaded into boxes to be transferred to a different floor of the factory for the manual portion of the assembly line. 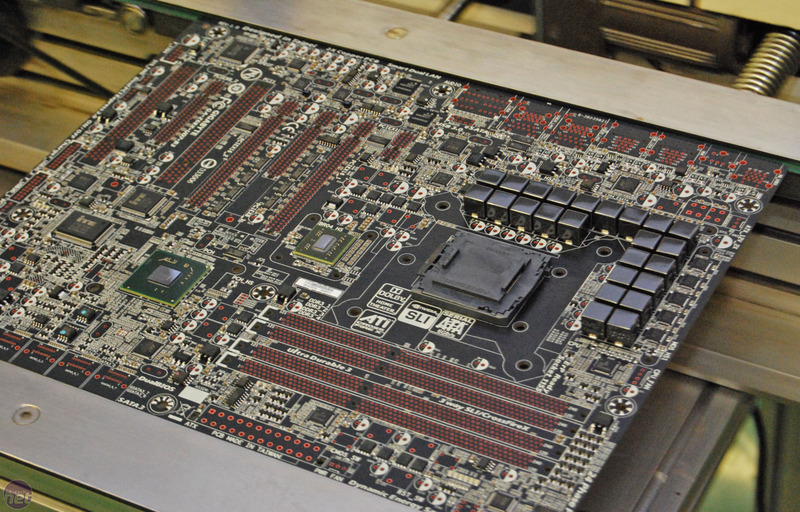 Dubbed the 'Google of Taipei,' we take a tour of Thermaltake's new Taipei HQ. 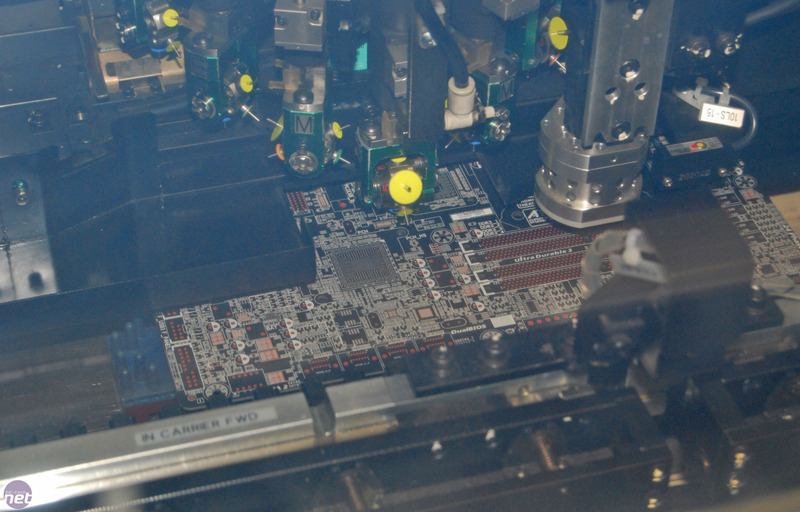 We travelled to Denmark to see how Asetek designs and develops its closed-loop liquid coolers.